One is tall, one is shorter. One is shy, one is chatter. One is slower, one is fast. One is gay. Both are exhausted. The lives of three young women – Maggie, Eden and Jenna – are irrevocably intertwined. Together, they swim for their college and despite being together every single day, there’s thoughts and fears and terrors hidden away. Life is about to throw them an unexpected twist -one that threatens everything they thought they knew. Will they stand strong or crumble under the pressure? On Saturday night, Eden, Jenna and Maggie go to a party at a house off-campus. Jenna is already drunk when they arrive. Eden drinks when they get there. Maggie will not drink at all. But (and this is a big but), it was a bit tiresome to have the tell-not-show thing playing such a dominant role. I wanted to figure out things on my own, I wanted to puzzle out hidden meanings. Instead, everything is very clearly and explicitly spelled out for us. Maggie worries about Eden. Eden likes girls and hates herself for it, and Maggie knows Eden cares for Jenna more than she should. 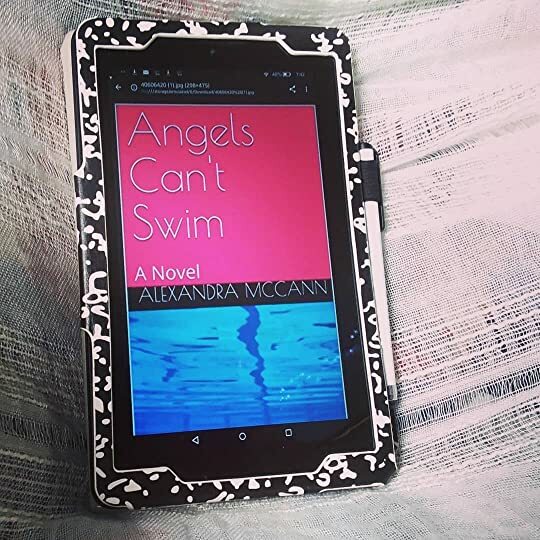 Overall, this was a fun, quick read – I enjoyed the way the characters played off of each other and the way McCann interwove all of their lives.